Tucked away within the romantic landscapes of Europe, a remarkable range of beautifully preserved medieval cities and towns invites discovery - time capsules of history where you can stroll the cobbled streets of another time; savor the treasures of palaces, stately mansions, soaring cathedrals, and grand civic centers; and walk the mighty bastions and ramparts that once defended them. 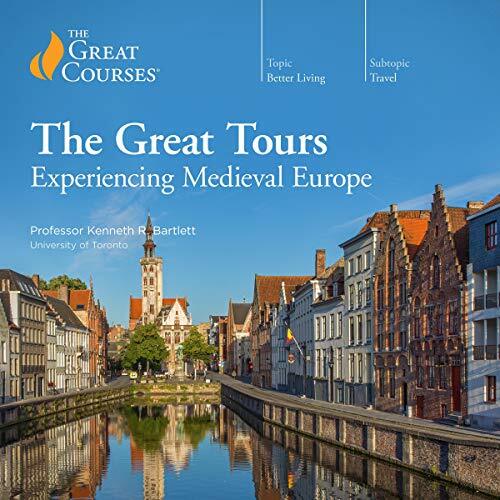 Now, in The Great Tours: Experiencing Medieval Europe, award-winning Professor Kenneth R. Bartlett of the University of Toronto invites you to travel through time to the golden ages of 12 of Europe’s most beautiful medieval cities. In 24 lectures, you’ll discover the sights, sounds, and smells of teeming markets and mercantile centers, royal feasts and ritual, dramatic military engagements, magnificent religious pageantry, and the many colorful layers of daily medieval life.